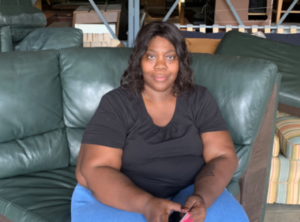 Dorothy, 53, took in four children in December 2018 when the Florida Department of Children and Families removed the children from their mother’s care because of “an unfortunate situation.” Dorothy said she’s known the children, ages 6, 8, 10 and 11, since they were babies. They are her son’s best friend’s children. But Dorothy’s home was only large enough for her. She said DCF officials told her she needed a bigger place for the children if she was going to be their temporary guardian. Dorothy said the children’s mother has one year to meet DCF’s requirements to get the children back. If she doesn’t, Dorothy said she plans to adopt them. Dorothy has four grown children of her own – ages 31, 32, 33 and 35. She also has three grandchildren. Dorothy found a larger place to live and needed help from The Mustard Seed to furnish it.